There’s no greater excuse for over-spending, then a change of season (okay, maybe there are a few others…) So why not greet spring with renewed shopping habits? Investing in a trendy, yet classic piece will give your wardrobe that upgrade it needs, allowing you to transition from season to season with ease. Drawing inspiration from the streets and the runways, while infusing that versatile wearability, here are some items that might be worth skipping your next meal for… And if that’s not an option, at least you’re left with some insight for your next shopping trip! 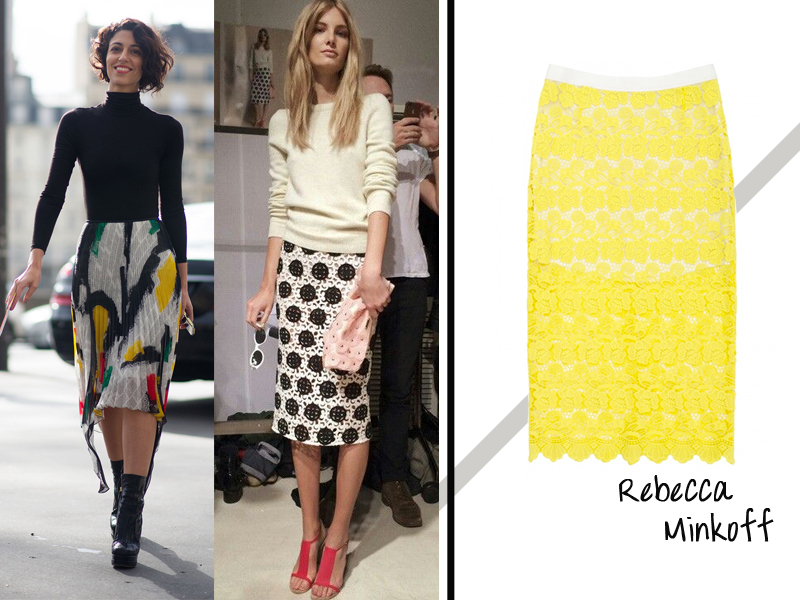 The pleated midi skirt and the lace pencil have made a major comeback this season. Opting for a bright hue will do the trick for spring, but don’t be fooled by a knockoff that might not fit as it should, or is made from a fabric that could tear at your first brisk step- this is an item you should be able to keep in your roster for years to come. This yellow version by Rebecca Minkoff offers just enough coverage for the workplace, with major potential for date night as well. The embellished A-line dress is easily a classic staple of the season, with patterns ranging from blossoms to gemstones, and colours covering all shades of the rainbow. This versatile number from Anthropologie can be worn through to fall, paired with everything from a pull-over sweater and sandals for a barbeque, or a topknot, a statement necklace, and heels for an outdoor wedding. 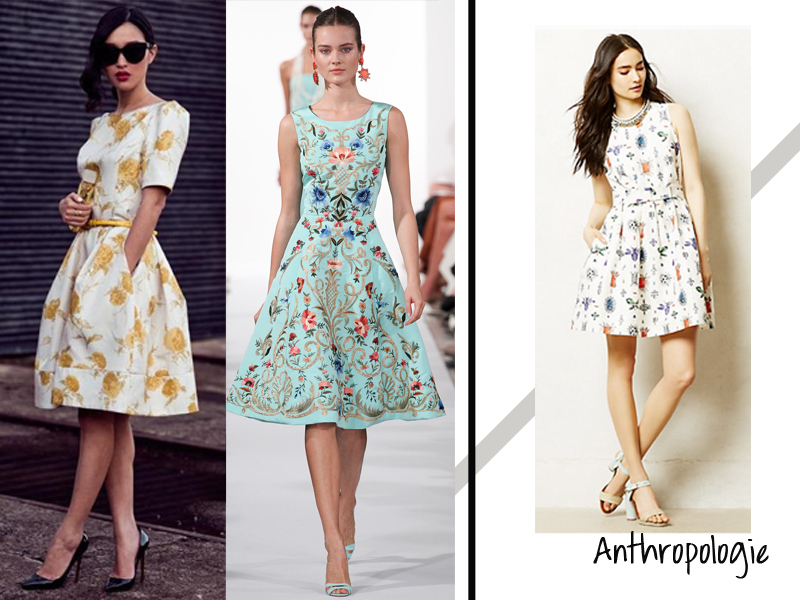 Opting for a dress with a high neckline and a touch of skin in the back, allows you to take your piece from day to night, in the blink of an eye. The “mini bag” is all the rage this season, and while this isn’t quite as conducive to real life, there are options out there that still add that quirky charm, while offering enough room for your handbag essentials. If you choose to invest anywhere, your bag and shoe purchases are the places to do it. As always, the onset of spring has brought new covet-worthy designs to the store shelves, from satchels to clutches, hobos and totes. 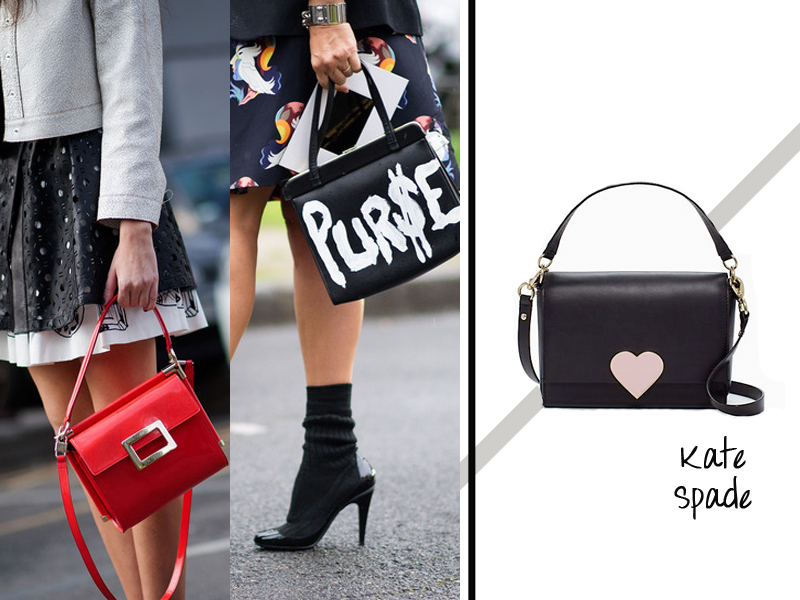 Always opt for the version that best suits your life’s needs, but if the mini bag is right for you, this Kate Spade heart-adorned option is a winner. The spring jacket has made somewhat of a transition as of late, from the trench coat renewal c/o Burberry to the return of the vintage bomber jacket, made new with graphic prints and ornate embroidery. Go outside your comfort zone and opt for a printed version that pops, you’ll be surprised at just how versatile a classic shape with a modern twist can be! The mule is all the rage in the fashion world, and it’s no surprise to me, or anyone, if you are currently wincing at the screen. 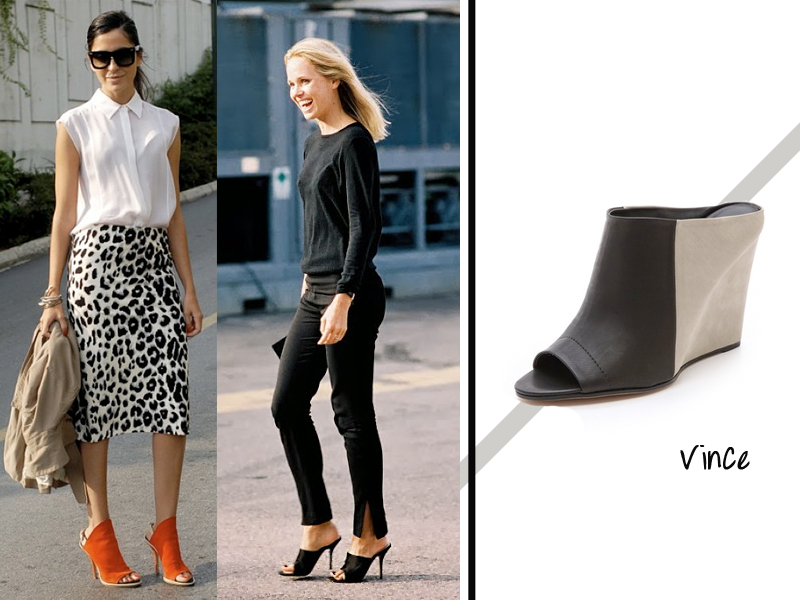 While this type of footwear can come off as less than flattering, there are interpretations out there that portray the same look, but still suit those of us that do not find themselves posing for cameras on the reg. Look for platform versions that will provide a level of comfort, and opt for soft, structured leather that will stand the test of time.